No two financial advisors are the same. That’s especially true at Wells Fargo Advisors, where our financial advisors run their own businesses, develop their own approach, and follow their own preferences. 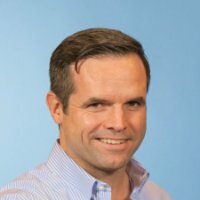 As VP of Advisor Digital Strategy at Wells Fargo, it’s my job to equip and enable financial advisors (FA) with the digital tools that let them connect and communicate with clients. While that sounds great in theory, rolling out a powerful new platform is always a daunting task. Our new advisors have a need to build strong networks, while senior advisors tend to be more focused on expanding relationships with long-term clients. Other advisors may focus on recruitment, while another group works entirely remotely, without the benefit of face-to-face client interaction. So how does a single sales solution tool work for all of these scenarios? Our launch blueprint has four distinct stages. First, we identify ideal advisor types. Next we familiarize each group with the tools they need to accomplish a specific, measurable goal. Once in use, we establish clear steps and best practices. Finally, we provide ongoing support to increase adoption and drive positive long-term use. Before the Internet and social media, new financial advisors typically relied solely on traditional methods (such as cold calling) to build their client base. Today, the referral process has changed. Much of the decision-making happens online—before any live interaction with an advisor. 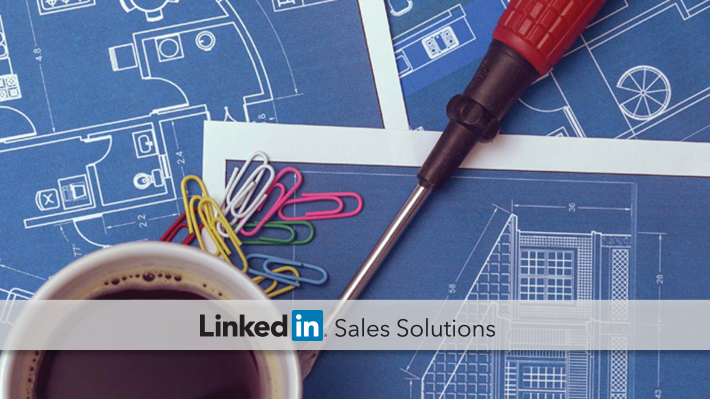 With Sales Navigator, associate FAs can access social selling tools to reveal existing connections and build new relationships with potential prospects. This approach to relationship development ultimately fosters trust via online interactions and that enables the new advisors to develop stronger networks. This social selling approach fundamentally changes how associate advisors can cultivate new business connections. At Wells Fargo Advisors, we have a relatively new program that pairs new FAs with an established advisor practice. What’s exciting about this model is how it can increase adoption and implementation of new digital channels, like Sales Navigator. As associate advisors effectively make use of new social selling tools, their success and advocacy leads to interest from veteran advisors who want to learn more about the platform. The experienced advisor then learns Sales Navigator’s digital client management and engagement capabilities, allowing them to steadily grow their existing network. We created a special pilot group of more experienced advisors within one of our best practice programs called “Delta,” whose top priority is helping advisors build an efficient and sustainable business model. Similar to other experienced advisors, these FAs are looking to grow through existing relationships—and LinkedIn Sales Navigator is an ideal tool to help. Our internal research shows that 36% of clients responding to our Client Listening Survey have a financial topic that they would like to discuss with their financial advisor. (Source: Wells Fargo Advisors Client Listening Survey Spring 2014 - Fall 2015) When advisors save clients as leads, they receive notifications on updates, job changes, and the content clients share. This new data lets Delta FAs get ahead of these life events and reach out with helpful, timely information—resulting in stronger relationships. One group of advisors conducts most of their business over the phone, so LinkedIn is a primary tool in their marketing kits. For these advisors, building a strong online identity and maintaining virtual connections takes on a new importance. Sales Navigator is the next logical step they need to grow their network, increase their online presence, and manage client relationships remotely. Additionally, leveraging LinkedIn’s data, they can research client connections while on the phone, looking for referral opportunities on the fly. We compare Sales Navigator users to non-Sales Navigator users looking for spikes in key business metrics—additionally, we focus on LinkedIn metrics like SSI score, leads saved, and connections with decision makers. This feedback helps us create a comprehensive data-driven narrative that shows how Sales Navigator may lead to new business. When we surveyed a pilot group of our advisors in 2015, 70 % of those using the tool reported finding “new opportunities” they could not find elsewhere. Implementing a new tool is similar to social selling: if you blast out a one-size-fits-all message, you're not going to have much success. You need to identify target users, focus on what matters to them, and you need to monitor their success to innovate and adapt. If you’re looking to learn a few more tips and best social selling practices like the ones Chris shared with us, check out our tipsheet “Proven Sales Strategies for Financial Services”.